What happens when you lose the passion for the game you love so much? 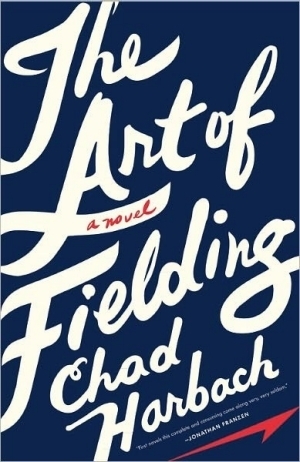 In the book, The Art of Fielding by Chad Harbach, this very topic is explored amidst the backdrop of a small liberal arts college and a unique batch of characters. Henry Skrimshander has the potential to be a major league player but one play threatens to undo it all. While Harbach has decided to use baseball as the sport to drive the story, I think any other sport could work. Through sport, whether as a participant or spectator, our deepest secrets, anxieties and fears are put on display. In the end truths are revealed and new bonds are formed. An enjoyable book just in time for the baseball season. The Barkley Marathons is considered one of the hardest 100 milers in ultrarunning. In it's 25 year history, only 10 runners have completed the 5 loop course that has approximately 59,000 feet of climbing and a cut off time of 60 hours. Held in Frozen Head State Park near Wartburg, Tennessee at the end of March or early April there is no set race time to start. That is decided by Lazarus Lake at his leisure notifying runners that they have 1 hour to the start with a blow of a conch shell, and once runners begin, they must seek out various checkpoint and tear out the page from a book that corresponds to their bib number. Of course, after the completion of each lap the runner is given a new bib number. I recently came across a project that is being funded via Kickstarter by a couple of people looking to make a documentary about the history and race that is The Barkley Marathons - The Trail That Eats Its Young. Recently, on a 50k training run I tried out a new gel out on the market call Chia Surge Gel made by Vitalyte. Best to try new things out on training runs and not on race day and I have to say that I was impressed. After getting past the consistency of a tapioca pudding or chunky peanut butter, the pineapple orange taste was quite good. Inspired in part by the book, Born to Run, I think Vitalyte is onto something. Here is a recent interview that I did with Milena Glusac about Chia Surge Gel. The weather was warm today here in the "D", and I couldn't help but slip on my NB 101's and trot a few miles on the grassy surfaces before slipping them off and running for a few minutes barefoot. It was great to feel the squishy earth still damp from the rains of a day ago and I could feel the neurons firing on my feet as they ran unshod. They were awakening from a winter of being closed in Brooks Ghost 3/4's and Launches. I am not a barefoot or minimalist runner by nature. A few years ago, one of the first people I met via social media was my buddy Nate, and he was a barefoot runner. Out on the trails, he would run in these weird toe looking shoes (Vibrams) that had yet to explode on the market and I remember trying a pair on in Colorado but just couldn't pull the trigger. Slowly but surely though, I would end a few of my runs sans shoes and could feel my body react to the ground in new ways. Of course there were tight calves and creaky parts as I my body sought to readjust, but it was running and a new form of play. 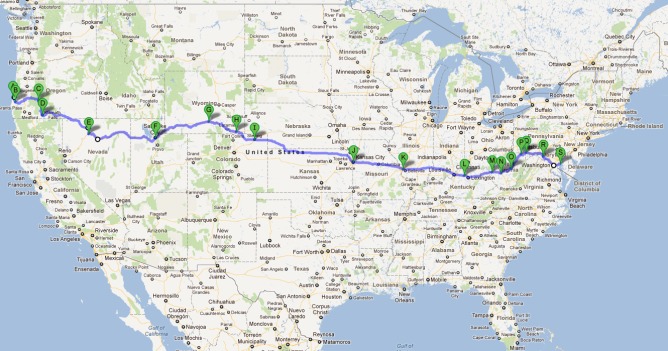 By the end of each of the past few summers, I have built up to a few miles barefoot. Several pairs of minimalist type shoes, Brooks Green Silences, NB 101's, lay about in my man cave and for some reason when the weather turns colder here in the D, I end up encasing them in shoes and losing all of the barefoot training. This season though with nothing other than the Unofficial Double Blue Ridge Marathon coming up, I am thinking that maybe I might just see how far I can take this barefoot and minimalist running thing. In 2010, the stars aligned at the "Boston" of ultras that is the Western States 100 miler. It was talked about in running circles that it had the makings of an epic race. You had the two time defending champion Hal Koerner, a man who had not lost any of the ultras he had entered in Geoff Roes, the minimalist in Anton Krupicka, and the European phenom, Kilian Jornet. Simply put, the race lived up to the hype. 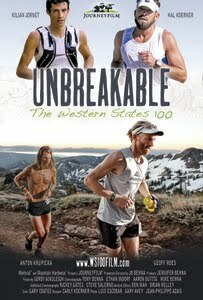 The film, Unbreakable: The Western States 100 , follows these men and their significant others in the year leading up to and during the race itself. Director, JB Benna an accomplished runner in his own right, covers the race with up close action that is simply amazing given the terrain and speed at which the runners were going. Watching the film with my wife as part of date night, I was giddy. Having the chance to crew this past summer for my friend Kevin at Western States, made it even all the more real as I pointed out sections of the course that I got to see as crew member and then parts of the course that I ran in the dark as a pacer were given light by the lead runners. What I took away from the movie was this. Elite athletes are no different than you or I. Sure, they might run more on a daily basis or cover race distances faster, but that doesn't mean that they are immune to injury, stress, and the physical and psychological barriers that we all as runners face. This movie showcases all of that and does it in such a manner that it keeps the embers going that I might just have to run a qualifier and throw my name into the lottery to run Western States one day. Jamie Summerlin is about to undertake a 100 day run across the country in an effort to raise funds for The Wounded Warrior Project. As a former Marine, Jamie ran his first marathon in 2009, and the idea to run across the country came to him during the summer of 2010. The purpose behind this run is to "to bring awareness and honor those warriors who had sacrificed life and limb to protect our freedoms". The Run for Wounded Warrior's has a goal of raising $500,000.00 and you can help by making a 100% tax-deductible donation! * You can help by going here: Running for Wounded Warriors. 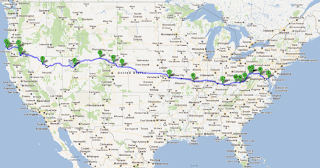 I had a chance to chat with Jamie recently for an upcoming episode of the podcast and was impressed with not only his dedication but the fact that his wife and kids were going to be his crew as he ran across the country. Please check out his site and follow him along as he begins his run for Wounded Warriors on March 26th. In 1925, a severe diphtheria outbreak threatened to wipe out the town of Nome, Alaska. With aviation in the Arctic still in its infancy stage, the only way to "safely" get the serum to Nome was to entrust sled dog teams to traverse the 1,000 miles through the wilderness. 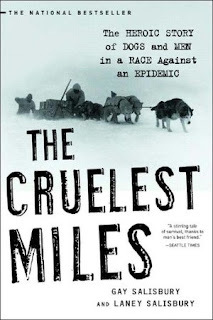 These sled dog teams endured conditions that most of us would find dangerous, but for them it was simply a way of life. As the title implores, they were The Cruelest Miles. While at the heart of the book is the story of the diphtheria outbreak and the sled dog teams, it also details Alaskan history. It is a history steeped in the love of the wild, endurance, and a willingness to adapt to the land. The Iditarod which is currently taking place, was started in 1973 to immortalize and preserve the history and accomplishments of the sled dogs and teams of the 1925 run to save the town of Nome. What I took away from the book was an appreciation of the connection that man has with dogs and the ability to push aside financial compensation for the greater good. There is also truth in that sometimes the best technology is what you have right in front of you. Here is an audio interview that I did with author Amy Snyder about her book "Hell on Two Wheels"